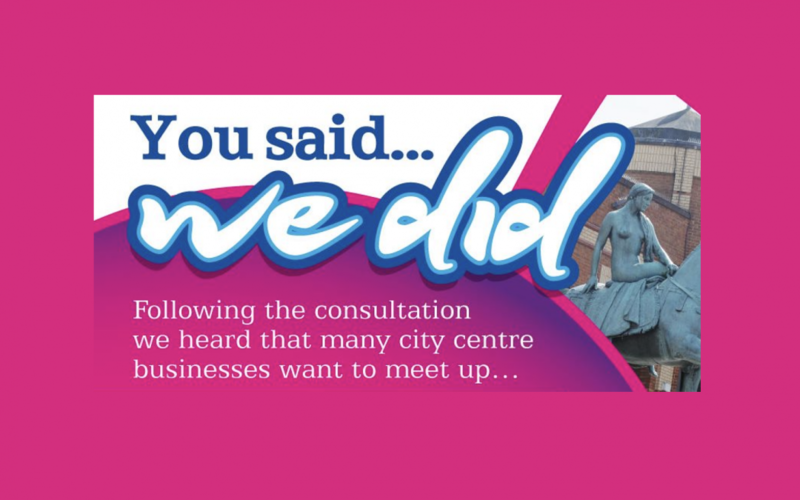 You said, we did: new business networking launches! #CovHourLive is a brand new event bringing together the businesses of Coventry to network and to hear about the latest developments in the city. The event will start with a welcome drink and networking, after which =you will hear from a number of speakers sharing the very latest news and information about what happening in Coventry. This event will take place on the eve of Social Media Day and so we will be sharing top tips and information about the benefits of using social media for your business or organisation and for keeping up to date with what’s taking place locally, nationally and internationally. The evening will draw to a close after participating in #CovHour LIVE from the event (8-9pm), where you can connect instantly with those new contacts made during the evening. For those not familiar with Twitter or #CovHour the online business networking hour for the city, there will be support available to bring you up to speed or to get you tweeting away on the Twitter platform! Please note that when you register for your free ticket your email address will be added to #CovHour’s newsletter database, so that they can keep in touch with you about future events. If you wish not to be added to this list, please do get in touch and let them know.